Taoist Temple Cebu; bring your walking shoes! A tour around Cebu City will never be complete without going through the Taoist Temple Cebu. This is by far the most popular non-Catholic shrine in Cebu. Why is it so popular? Perhaps it’s because it is a smaller version of the Great Wall of China as well as the miniature dragon statues that never fail to arouse visitors curiosity. 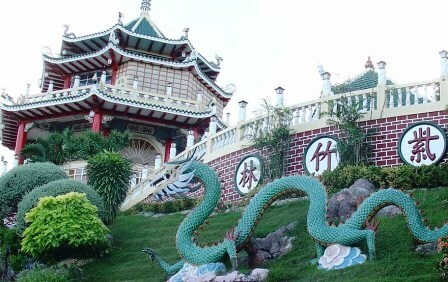 Where is the Taoist Temple Cebu Located? 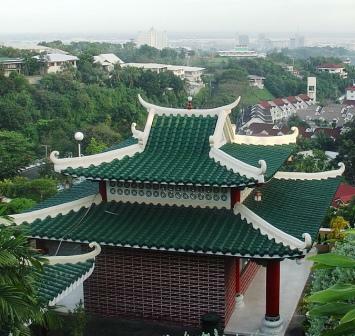 Taoist temple is located near a very posh suburb of Cebu called, Beverly Hills. It’s about an hour away from the city proper and it has proved to be very convenient location for the Chinese people who usually the residential owners of the subdivision. Today, though, it’s also a famous destination of Koreans, who share the same faith as the Chinese. What does the Taoist Temple in Cebu Stand For? The Taoist temple is a shrine for those who are practicing Taoism, a religion based on the teachings of Lao Tze, a Chinese philosopher. There are several documents of their doctrines that you can find all over the temple. How to Get to the Taoist Temple Cebu? The most ideal mode of transport to the Taoist Temple is definitely by private vehicle. If your budget does not stretch that far, you can always take a jeepney to Lahug. Make sure you tell the driver that you want to go to the Taoist Temple, the driver will then take you to Sudlon. From there, you have the choice to walk for about 15 minutes or ride a habal-habal, a motorcycle that can carry up to 6 passengers. If you think that it’s going to take you a long time before you can see the real Great Wall of China, you might as well explore its small version right at Taoist Temple. Make sure you bring some water with you. To get into the temple itself, you have to climb more than 80 steps. It’s also considered as one of the enjoyable but exhausting activities performed by tourists here. Nevertheless, since there will be several people who will also be climbing with you, it becomes less tiresome. Since the temple is around 300 meters above sea level, you can have the most captivating view of the different islands of Cebu, as well as an incredible sunset. Rather than candles, Taoists make use of joss sticks. You can also perform the same ritual as the followers, since instructions are provided at the main door. You can also have your fortune read by the tellers in the temple. Note: Make sure that you observe silence at all times. The place is still a religious shrine and there will be some people who would be praying. The best days to go there will be during weekdays, except during Wednesdays, one of their days of worship. Moreover, be careful of unscrupulous habal-habal drivers who will charge you higher fares, especially when they can guess that you’re a first-time visitor. A one way trip will never cost you more than 50 pesos. For other things to see in Cebu have a look here.